DENVER, Colorado – Jan. 31, 2019 – ENAVATE, a leading Microsoft Dynamics 365 provider, has announced that they have extended their contract with EG A/S, the leading Microsoft Dynamics partner in Scandinavia EG A/S. The three-year agreement builds upon the success of a previous collaboration between ENAVATE and EG A/S, providing EG with resources to develop their Intellectual Property as well as supporting their Microsoft Dynamics 365 implementations. Under the terms of the new contract, ENAVATE will provide ongoing consulting, strategy, upgrades, re-architecture, maintenance and implementation support to EG. 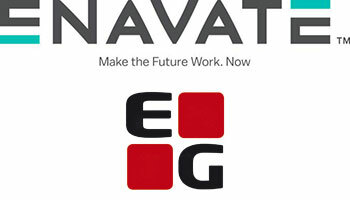 ENAVATE will also continue to support the sale of EG’s solutions for Microsoft Dynamics in North America. “We are excited to continue this relationship with EG and to become their trusted partner providing resources for EG. At the same time, we will continue to sell and support EG’s extensive Dynamics portfolio of products in the North American market,” said Thomas Ajspur, CEO of ENAVATE Holdings LLC. EG is among the strongest Microsoft Dynamics partners with more than 25 locations and 2,000 employees across Denmark, Norway, Sweden, and Poland. With more than 35 years of experience, EG is a valued partner for its more than 12,500 customers. EG’s experience across logistics, industrial, construction, utility, oil and gas, and other markets complements ENAVATE’s deep industry expertise. ENAVATE is a Microsoft Dynamics 365 partner committed to providing transformational software solutions and services to our partners and clients worldwide. ENAVATE partners with distribution companies in North America to implement, upgrade and make the most of Microsoft Dynamics 365 and AX software platforms; provides managed services to customers with Microsoft Dynamics; and partners with Microsoft Dynamics Independent Software Vendors (ISVs) globally to provide consulting, upgrades, re-architecture, maintenance and implementation support. Visit www.enavate.com to learn more. For more information, please contact Patric Timmermans, Director of Marketing, ENAVATE, at +1 (303) 324 4570 or email patric.timmermans@enavate.com.